The inbound movement has always been about one thing: being relevant and truly helpful to your audience. This approach shouldn't change, but as technology and internal company relationships change, marketers and salespeople must learn how to adapt to better serve their customers. To better understand how our relationships with consumers and coworkers are changing, we collected data from more than 6,300 marketers and salespeople from around the globe, which we've compiled in the 2017 State of Inbound report. It examines the relationship between company leadership and employees, details on collaboration between marketing and sales teams, and a look at what the industry’s foremost marketers are adding to their strategy in the coming year. Check out the full report here, or view some of the most interesting highlights below. Last year, we started to examine marketers' thoughts on their organizations' marketing strategy and found that inbound marketers are much more likely to be satisfied with their organization's approach. We're happy to report that this trend continued. 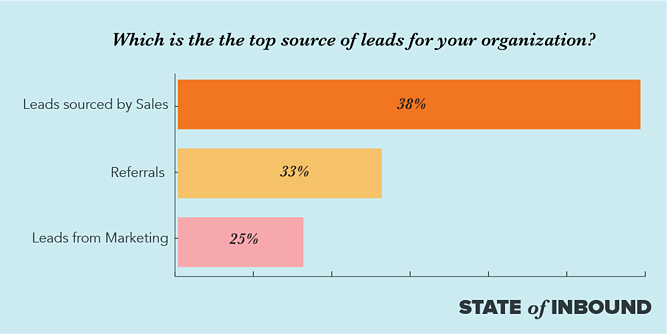 68% of inbound marketers believe their organization's marketing strategy is effective. However, the majority of outbound marketers (52%) do not think their strategy is effective. 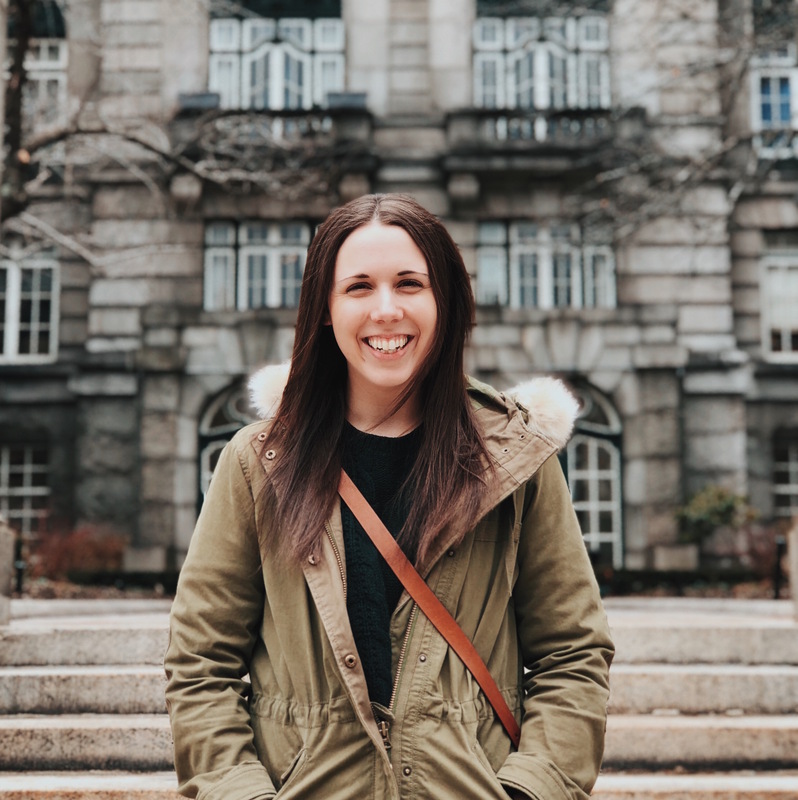 It’s not simply the effectiveness of the inbound philosophy that encourages us, but the success of inbound when compared to alternative methods. Each year, marketers tell us that outbound practices are overrated. 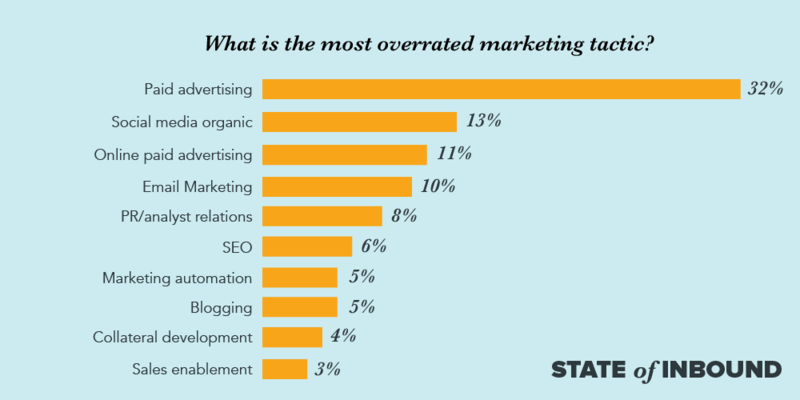 While we admit we might be a bit biased, when we cut the data, marketers agreed. According to this year’s data, 32% of marketers rank outbound marketing practices such as paid advertising as the top waste of time and resources. Over the years, we've continued to examine the relationship between marketers and salespeople. This year, we discovered an interesting trend in the data: Company leadership and individual contributor employees are struggling under a growing corporate chasm. This means that leadership and employees often view their company, its performance, and its future very differently. For example, while 69% of C-level executives believe their organizations' marketing strategies are effective, only 55% of individual contributors agree. Leaders who want their business to grow must learn how to effectively communicate the organization's vision and goals with their employees. Marketers find tracking and making sense of their metrics a challenge. 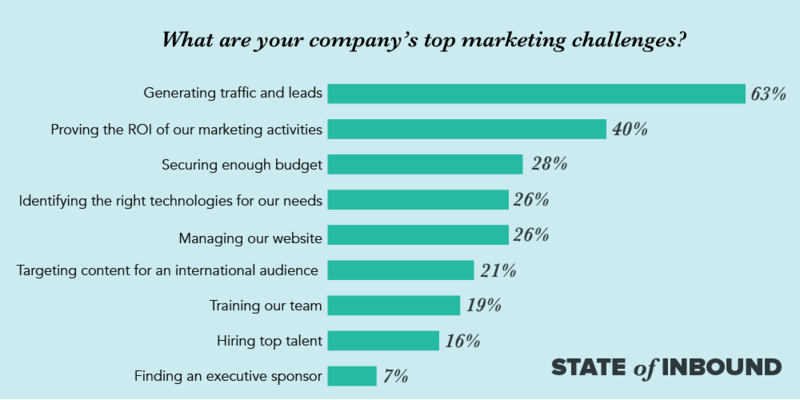 This year, 63% of marketers admit that their top challenge is generating enough traffic and leads. This is followed by 40% who struggle proving the ROI of marketing activities and 28% who are trying to secure enough budget. All three of these top challenges are metrics-driven. Without the proper tools to track concrete campaign results, these areas will continue to be a struggle. When we began publishing this report nine years ago, much of our data revolved around the adoption of inbound marketing. As the message spread, we began to see why it’s crucial for both marketing and sales teams to adopt the inbound methodology together. One of the main ways this is done is through a service-level agreement (SLA). 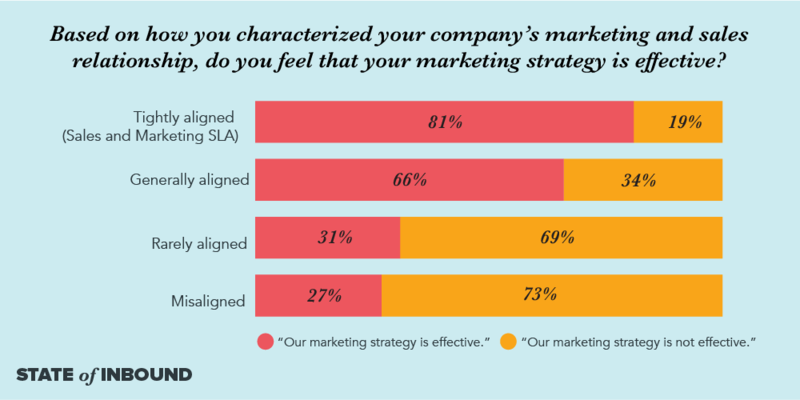 Despite the fact that only 22% of organizations say they have a tightly-aligned SLA, the benefits of having one are clear: 81% of marketers with as SLA think their marketing strategy is effective. In fact, there is no combination of factors more strongly correlated with marketing success than being both inbound and having an SLA. While marketers struggle with tracking the metrics of their campaigns, salespeople admit that getting a response from prospects is a growing challenge. However, as you dive deeper into the data, you see the problem starts long before salespeople begin contacting prospects. 38% of salespeople say that they struggle most with prospecting. While there is an abundance of new technology and platforms to help salespeople connect and develop relationships with prospects, many are finding it difficult to incorporate this technology into their daily routine. In fact, 19% of salespeople say they're struggling to incorporate social media in their sales process, and 13% say using sales technologies is now harder than it used to be. As marketers prepare for the future, many plan to use a variety of content publishing platforms. In the past, content marketers poured their efforts into their email, website, and blog strategies. But with the rising trend of content decentralization, marketers are now seeing the benefit of publishing on a variety of channels. In our study, marketers are paying more attention to video’s global appeal, with 48% planning on investing in YouTube and 39% looking to add Facebook video to their strategy. 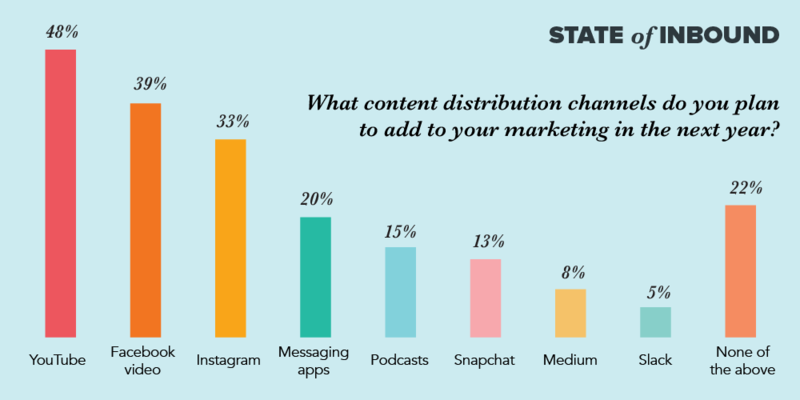 In addition, many marketers are experimenting with messaging apps, while others continue to focus on more visual platforms such as Instagram. But don’t think the age of the blog is over. 53% of respondents say blog content creation is one of their top inbound marketing priorities. Getting a response from prospects is not the only challenge salespeople are facing. According to our 2017 data, 45% of salespeople say they spend over an hour performing manual data entry. Another 23% of salespeople say their biggest challenge using their CRM is manual data entry. The more time salespeople spend on data entry, the less time they have to do what they are skilled at: closing deals. Not only is manual data entry time consuming, it can also be detrimental to the business. Storing contacts in an unorganized way or not properly using a CRM can lead to a disjointed sales strategy. Businesses should look to sales tools that include automation, integrate with their other platforms, and provide insight into the full customer journey. We know there's a disconnect between marketing and sales teams around the definition of a quality lead, but this year's report shows a drastic gap. 59% of marketers say they provide salespeople with very high-quality leads, but only 25% of salespeople agree. In fact, the majority of salespeople -- from the C-suite to individual contributors -- rank marketing leads last, behind referrals and sales-sourced leads. This data continues to highlight the importance of SLAs. Want more data-backed insights? This is just a preview of the State of Inbound report. Download the report for free to discover how inbound marketing and sales is evolving. Editor's Note: This post was originally published in September 2016 and has been updated for accuracy and comprehensiveness.